Where to stay in Lyon, france’s third largest city, situated between rivers and hills? Discover the best quarters to stay in Lyon! France’s third largest city by its population – 506,615 inhabitants (2014) – and the second largest metropolitan area (2,265,375 inhabitants) in the country, Lyon boasts a rich historical, industrial and cultural identity with national and international influence. Founded by the Romans, Lugdunum quickly became the capital of the Roman Gauls. To stay in Lyon’s quarters, spread over 9 arrondissements (districts), some of which are listed as World Heritage Sites by UNESCO, is to experience the latest chapter of more than 2,000 years of history. 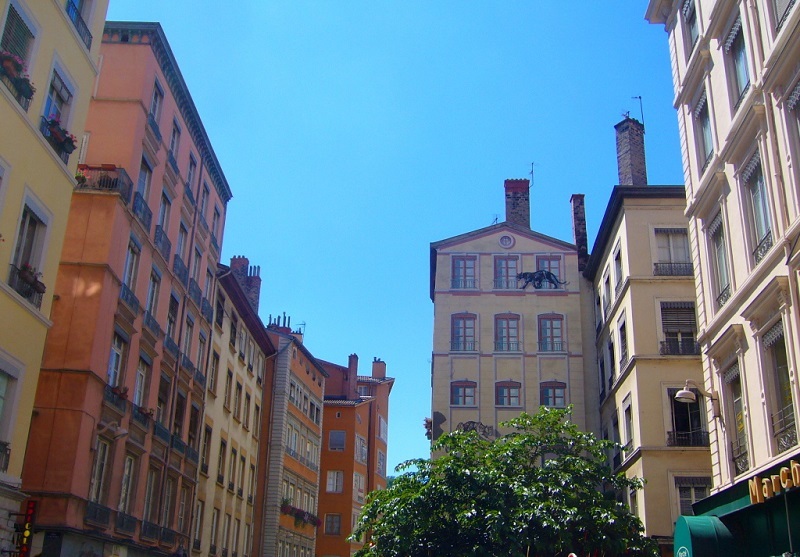 Finding an apartment to stay in Lyon can be complicated, or expensive. Fortunately, there are many accommodation options: from hotels to youth hostels and homestay accommodation (Airbnb). Each district of Lyon has its history and culture, forged over the centuries, so much so that living in the city’s different neighbourhoods can give the impression of travelling from one city to another. Discover where to stay in Lyon. Perched on a hill, offering breathtaking views of the city, the neighbourhood of Fourvière is where the Romans first settled in 43 BC. Many remains of this ancient past are still visible today – the ancient theatre, the ancient Odeon of Lyon, the Cybèle sanctuary. Fourvière is a wealthy, bourgeois quarter with a strong Catholic influence. Though rents in Fourvière are likely to be expensive, the neighbourhood’s peaceful and quiet atmosphere is a priceless feature. You can walk along the paths of the Parc des Hauteurs, climb up the hill from the Vieux-Lyon quarter, and visit religious monuments including the Basilica of Notre-Dame-de-Fourvière, the chapel of Saint-Thomas, or the church of Saint-Just. 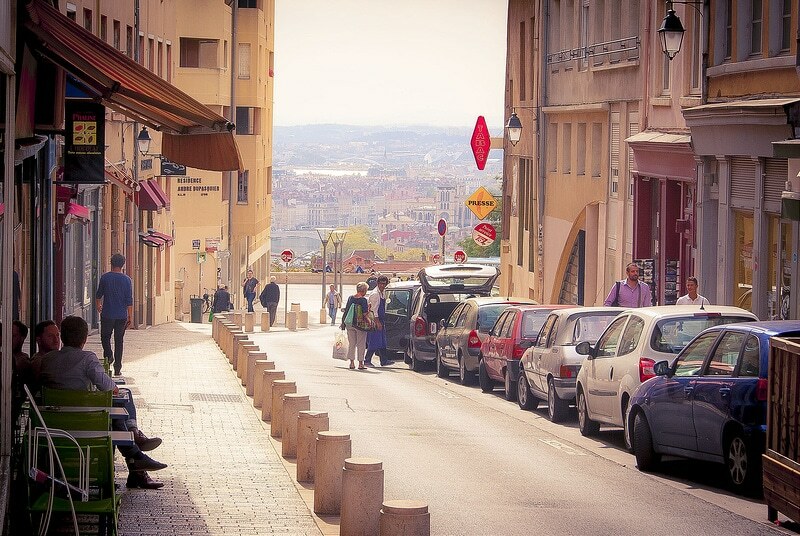 Lively during the day, and quiet in the evening, Fourvière is one of the best neighbourhoods to stay in Lyon. The Saint Jean quarter is the largest Renaissance quarter in the world outside Italy, after Venice. 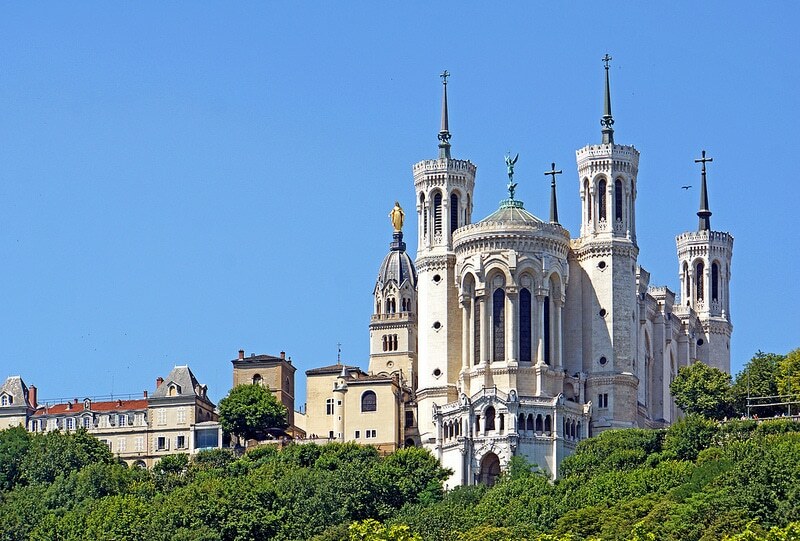 In fact, it is also Lyon’s most touristic area, listed as a World Heritage Site by UNESCO. 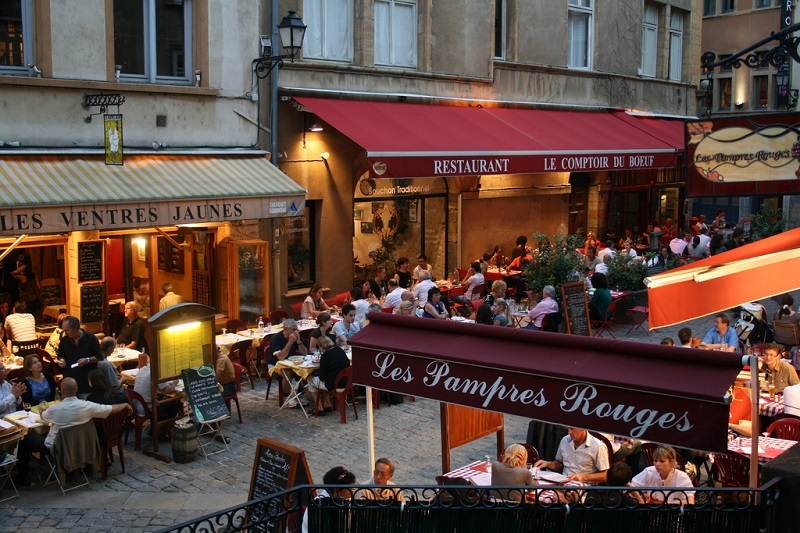 Located to the west of the peninsula on the quays of Saône, the area houses an array of small restaurants where you can treat your taste buds with Lyon’s amazing gastronomy, including delicious meats, deli meats, salads and the famous “bouchons Lyonnais” (typical local restaurants). Saint-Jean is also home to friendly bars, historical monuments such as Saint-Jean cathedral, and the famous traboules – typical passageways – entangled in a maze of small colourful alleys, and breathtaking interior courtyards of private mansions. An excellent neighbourhood to stay in Lyon, though accommodation rates are among the highest in the city. A strip of land nestled between the Saône and the Rhône, the Presquîle is the guardian of Lyon’s cultural identity, its brand image if you will. The area houses Lyon’s 1st and 2nd districts, and stretches from the slopes of the Croix-Rousse to the Ainay quarter – the aristocratic and bourgeois Lyon – and Perrache train station. Not only is the Presqu’île home to the Place Bellecour, the Place des Jacobins, the Opera, the Place des Terreaux, the Place des Cordeliers, the Hôtel de Ville de Lyon (city hall), the Place des Célestins, the Rue de la République, the Rue Victor Hugo, the Saint-Nizier church, it is also filled with numerous shops, bars, and restaurants. However, be careful: it’s a pretty stuffy area, where lodgings will be expensive. Guillotière is all at once a cosmopolitan, central, crowded, student, and hipster area to stay in Lyon. Situated on the banks of the Rhône, Guillotière – or the “Guille”, as the Lyonese say – is home to two large university campuses in Lyon, the river banks where you can stroll along on sunny days, art galleries, concert bars, late-night bars in barges, and cheap African and Asian groceries. Many communities – Arab, African, Asian, Romani – live side by side in this jumble-like neighbourhood. Guillotière is a working-class quarter, where accommodation will be cheaper than elsewhere in the city centre. The slopes of the Croix-Rousse – “les pentes” – are like a small village in the metropolis. This is all at once Lyon’s lively and picturesque area, perfect to wander around during the day, and a great place to party at night, packed with numerous alternative bars and concerts to attend. It’s also an area marked by the struggle for social justice – the Canuts revolt began here in 1831 and the district has retained its militant and anti-establishment spirit. The atmosphere here is what the French would call “bobo” (short for bourgeois-bohemian), a place of choice for organic food lovers, and very lively day and night. It is one of the best districts to stay in Lyon if you are young and enjoy partying.